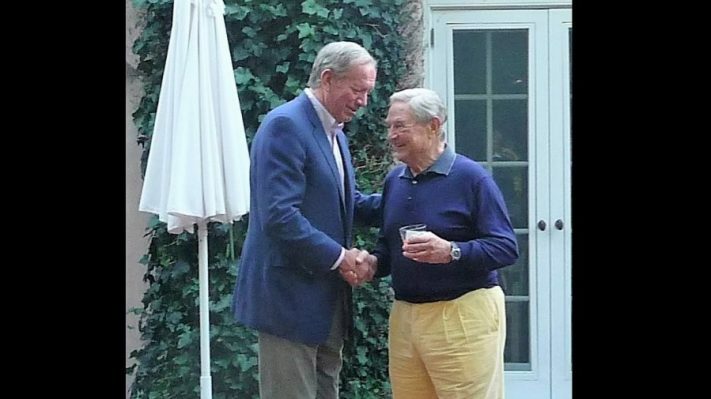 In 2012 when former New York Governor George Pataki became a member of the Central European University (CEU) Board of Trustees, university founder and Honorary Chairman George Soros held a reception at his Southampton, New York home. Pataki was grateful for the appointment. As a trustee, Pataki was instrumental in selecting Michael Ignatieff, the Canadian professor and liberal politician as President and Rector of the University. In an interview last March with the Hungarian weekly, Figyelő, Pataki praised Mr. Orbán’s “strong” government, and described Hungary as a free market economy with a solid democratic system (!) and a great chance to become one of the most competitive countries of the world. Pataki urged Hungarians to adopt a more optimistic attitude and praised the country for its “fantastic” ability to attract foreign capital. Pataki blamed US criticism of the Orbán government and allegations of corruption and an over-centralized political system on the Obama administration’s “hypocritical, almost hysteric” political correctness. 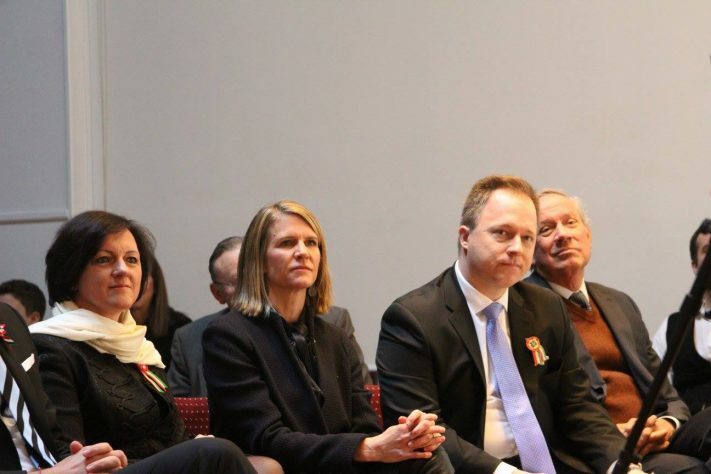 Although Pataki admitted that he had read “one or two things” in US media that gave him concern, he voiced strong optimism concerning the future of Hungary and praised the country for its constant development. Hungarian Amb. Réka Szemerkényi, ex-US Amb. Colleen Bell, current Consul General Ferenc Kumin and Gov. George Pataki at the March 15 National Holiday event in New York. George Pataki is 71 years old and a moderate Republican. 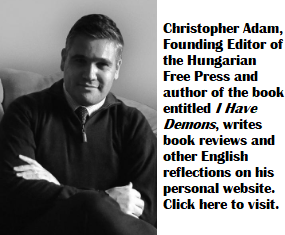 Some consider him the doyen of the Hungarian American community and a group recently started to lobby to name him President Trump’s Ambassador to Budapest. Now it seems that things have changed. Gov. Pataki strongly denounces the Orbán government’s attack on academic freedom and warns that this behavior could seriously impact future relations between Hungary and the United States. It seems that Orbán has lost one of his most loyal supporters. I wonder how Pataki’s Hungarian American friends will react to his break with the Orbán regime. Hundreds of people expressed the same and rightfully so. Does it make a difference in Hungary? On a separate note – The EU allowing Paks 2 to be built by the Russians, understanding that gives enough corruption moneys to the Fidesz to replace the moneys Brussels gives them, they gave the nod to him to leave the EU in the near future either voluntarily or he can keep piling the violations, until Hungary can be expelled. This just one episode of the real, ugly world of the Orbán regime.